Replace your dirty air filter for improved airflow and performance. Package includes (2) aFe Cone Air Filters for your aFe Dual Cone Intake. A clogged air filter will affect your car's performance on many levels such as power and gas mileage. Replacing your air filter will ensure that you get most out of your vehicle and will save you money. 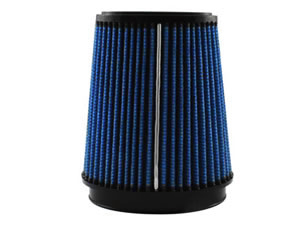 To make sure that you get optimal performance out of your aFe Dual Filter Cold Air Intake System, this package will include (2) aFe replacement air filters designed specifically for use of the aFe Dual Filter Cold Air Intake System (54-11472 and 51-11472). AFE filters are made with five layers of fine mesh cotton gauze media and are constructed from 100% poly-urethane which makes them very durable, and resistant to high temperatures and chemicals. 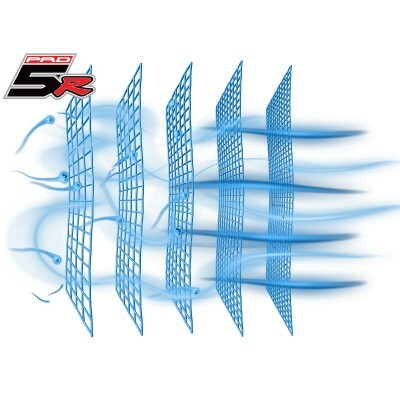 The construction of the pleats in the filter is deeper than that of any other filter, this provides for an increased flow and prevents a greater amount of dust from reaching your engine. These filters are washable and reusable for multiple cleanings!